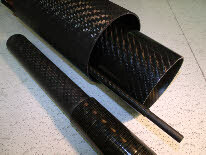 Composite tubes are primarily made using Carbon fibre and Glass fibre. Depending on the stiffness and strength needed, the fibre types and their orientation within the laminate can be chosen. 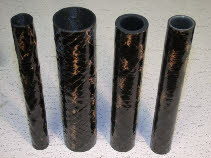 The resin matrix will tend to be Epoxy for higher performance Filament wound or Prepreg tubes, with Vinylester resin common in carbon pultrusions. Filament Wound tubes are available from 10mm to 500mm diameter. There is no minimum length requirement, and a max length of approx. 2700mm depending on wind angle. Prepreg tubes have no minimum length. 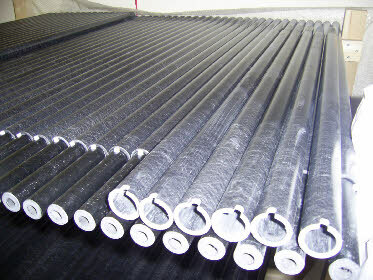 Diameters can range from 10mm to 150mm, with maximum lengths of approximately 2400mm. Pultrusion and pulwinding are ideal for larger volume production. Minimum cost-effective runs start at 250m. 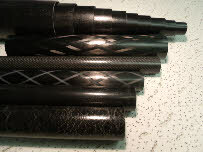 The fibre is primarily at 0° along the tube axis, but some winding can be applied, as can Fabrics and random veils. 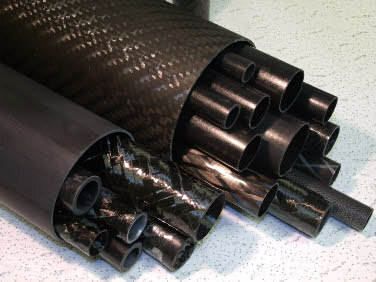 Vinylester is the most cost effective resin, but they can be produced with Epoxy.